India cinema operator Carnival Group has signed a definitive agreement with Qatar-based Elan Group to acquire its 100% stake in Novo Cinemas. While financial details were not disclosed it is estimated to be in the region of INR 500-690 crore (USD $75-100 million). The deal marks a ramp-up of Indian cinema operators’ overseas ambitions, as well as a re-jig of the competitive landscape in the fast growing Gulf region, with rivals PVR and Cinepolis recently also establishing themselves there. Novo Cinemas operates 129 screens across 15 multiplexes in United Arab Emirates (U.A.E. 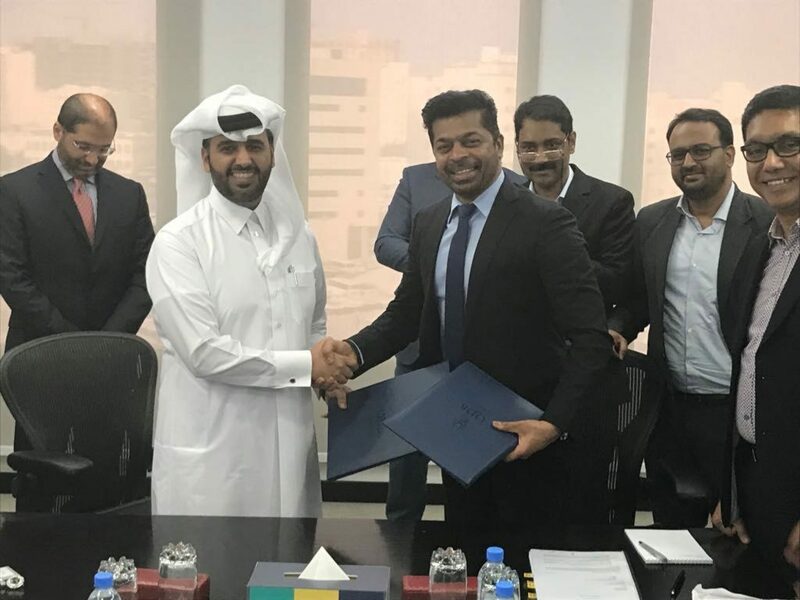 ), the Kingdom of Bahrain and Qatar, with an additional 50 screens in the pipeline, though it is unclear whether the 25 screen in five multiplexes in Qatar are part of the deal. Rumours about Carnival’s possible acquisition of Novo had been circulating for some time, with UAE-based Emirates National Holdings mentioned as a potential co-investor. The deal marks a disentangling of Elan Group’s cross-border business outside of Qatar, which has been subject to a boycott and blockade by Saudi Arabia, the UAE, Bahrain and Egypt since June 2017. This meant that Novo was also effectively locked out the Saudi Arabian cinema market as it opened up (as we noted in our analysis of potential Winners and Losers at the time). Under Indian ownership Novo now has a chance to bid for the right to operate cinemas in Saudi, though it is late the the party, with AMC and local rival Vox already on the ground and both having several projects underway. The deal also marks a major global expansion for Carnival Group. What began as a four-screen cinema in Kochi in southern India grew through a series of agressive acquisitions, including Reliance’s Big Cinemas, HDIL’s Broadway, Network 18’s Glitz Cinemas and most recently Maharashtra-based E-Square Cinemas’ 37 existing screens. Carnival currently has 470 screens across 162 properties in 120 cities with a seating capacity of over 150,000. Carnival also operates eight screens in Singapore, which has an ethnic Indian minority, through the acquisition of Bombay Talkies in August 2016, Rex Mackenzie (three screens) and the single-screen Rex Golden Mile. Carnival has an ambitious target of 1,000 screens by 2020. “We are the fastest growing multiplex chain in India and Singapore and are strengthening our foothold globally.,” said Dr Shrikant Bhasi, chairman and founder Carnival Group, at the signing ceremony with Abdulaziz Nasser Al Khalifa, group chairman Elan Group. “Our international expansion is a necessity for us at a cultural level.” Yet Carnival is not the only Indian exhibitor expanding overseas. Earlier this month PVR Cinemas signed a deal with U.A.E.-based Al-Futtaim Pvt. co. to expand in the Guld, Saudi and Middle East markets. Not to be confused with Majid Al-Futtaim, the parent company of Vox, the Al-Futtaim has mall,hotels and resorts in U.A.E., Saudi and elsewhere. Ajay Bijli, Chairman and Managing Director, PVR was quoted as saying at the time that: “We see a great opportunity in taking the PVR brand to the MENA region, particularly expansion in UAE and entry into the Saudi Arabian market which has recently decided to open up the cinema industry.” Last year PVR has also acquired a minority stake in US-based iPic Gold Class Cinemas. With a significant South Asian population in the Gulf states and Saudi Arabia, India’s Carnival and PVR might seem like a natural fit for the region, also given the proximity and close economical and cultural ties, with Bollywood and South Indian films playing in most Gulf cinemas. Yet both exhibitors have ambitions in the region that go far beyond just catering to the Indian diaspora, with PVR planning to introduce its PVR’s Director’s Cut, “a format that blends high-end hospitality and entertainment”, to the cinemas it plans to open there. Now ranking second in the world in terms of admissions, Morelia-based giant exhibitor Cinepolis is expanding into the Middle East and has set up a beachhead in Dubai with former Cinepolis India expansion chief Ashish Shukla at the helm. Plans are underway to raise a still unquantified number of screens in the Gulf states of Oman, Qatar, Bahrain, Kuwait and the United Arab Emirates by next year. This means that of the four biggest exhibitors in India, only Inox has not revealed any immediate ambitions to enter the fast-growing MENA region. With Vox not for sale, this means that the only other major exhibitor in the region that could be subject to an acqusition attempt or partnership with Inxo would be Reel Cinemas. It is clear that Indian exhibitors are as intent as those in China, South Korea, UK and Mexico in establishing a global exhibition presence as the cinema market continues to consolidate.